﻿ Southern Sun Cape Sun Cape Town. JIMAT di Agoda.com! 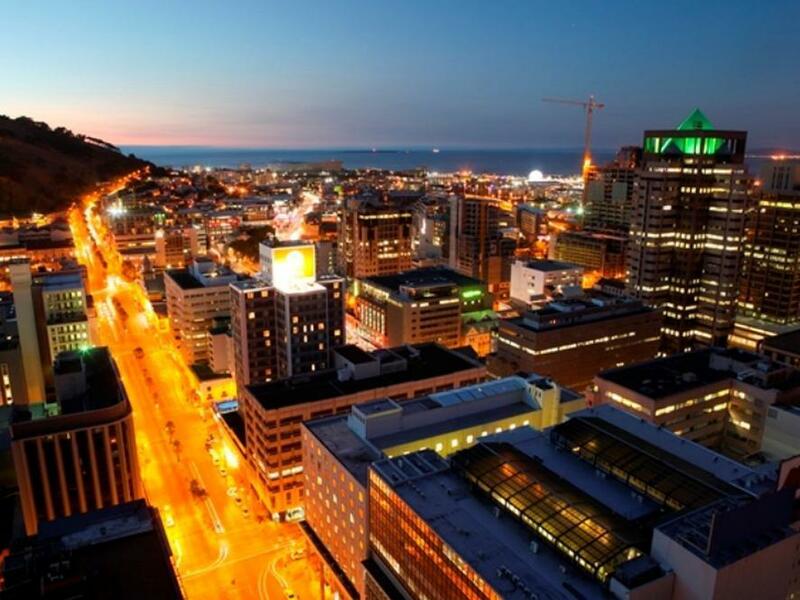 Jika apa yang anda cari adalah hotel dengan lokasi menyenangkan di Cape Town, cuma perlu lihat Southern Sun Cape Sun. Hanya sejauh 18.5 Km, hotel 4-bintang ini boleh diakses dengan mudah dari lapangan terbang. Untuk pilihan bersiar-siar dan tempat daya tarikan tempatan, pelancong tidak perlu pergi jauh dari hotel kerana ianya berdekatan dengan Yoga Zone, Koopmans-de Wet House, Iziko Koopmans de Wet House. Menawarkan tetamu hotel perkhidmatan yang unggul dan pelbagai kemudahan, Southern Sun Cape Sun komited untuk memastikan penginapan anda berada di tahap seberapa selesa yang mungkin. Kemudahan utama hotel termasuklah perkhidmatan di bilik 24-jam, kemudahan bagi tetamu kurang upaya, Wi-Fi di tempat awam, parkir valet, tempat letak kereta. Alami bilik dengan kemudahan berkualiti tinggi sepanjang anda menginap di sini. Sebahagian bilik menyediakan akses internet (wayarles), bilik tidak merokok, pendingin hawa, pemanas, panggilan kejut untuk memudahkan tetamu berehat dan kembali bertenaga. Hotel ini menawarkan pelbagai kemudahan rekreasi yang sangat baik, termasuk pusat kecergasan, kolam renang dalam. Southern Sun Cape Sun merupakan tempat yang ideal bagi penginapan pelancong yang mencari keindahan, keselesaan dan kemudahan di Cape Town. Please note that free WiFi is limited to 500MB per room per day. Dear Visitor, this region is currently experiencing drought conditions. Please be aware that certain properties are subject to comply with local water usage restrictions. Really good! Close to historic parts! Would recommend hotel! Great location, great value for money, very clean. We had a lovely stay, the staff couldn't be any friendlier and nothing was too much trouble. The only thing that could be better would be the parking. They did their very best though to have our car there on time. I had a very nice stay at the hotel, but I did not try the breakfast. Breakfast was not included in Agoda deal, and it was very expensive to pay for breakfast. The Hotel is next to a small flee market which is nice. There are plenty of restaurants nearby and Longstreet is just a street away. Shuttles to and from waterfront are free and very convenient. Fantastic service, location and clean. Loved the location and friendly staff. Easy access to various tourist spots n and around the city. Our stay in Capetown was great except for the weather which was cool and rainy. 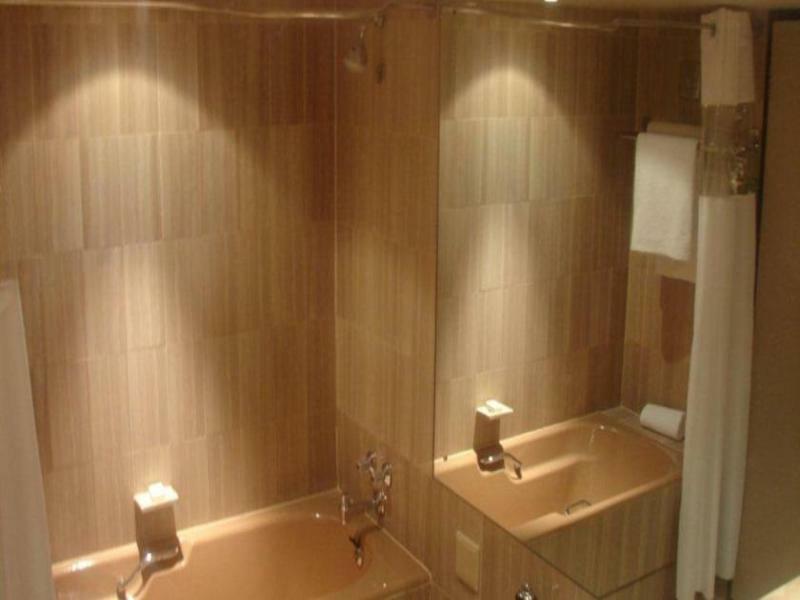 The hotel was very modern and well situated to explore the city. It was an easy walk to the Castle and to shopping. Room was very clean and beds were comfortble. Easy taxi ride to the waterfront and a big selection of restaurants. a great place to stay if you want a central location. goede ligging, schoon hotel, vriendelijken zeer behulpzaam personeel, en super ontbijt. wij verbleven met een reisgezelschap 3 nachten en vervolgens nog 1 nacht op eigen gelegenheid. Wij zijn zeer kritische reizigers maar zijn vol lof over dit hotel. - Onze vlucht bevestigen; werd voor ons gedaan. - Na het uitchecken konden we s avonds toch nog douchen. echt een aanrader en dicht bij de leukste markt van Kaapstad n.l. greenmarket. Er gaat vanuit het hotel een gratis shuttle naar waterfront. Brilliant service by the staff. Valet parking security must be reviewed..anything that is forgotten in the car just disappears. Otherwise brilliant in terms of cleanliness and friendliness of the staff. The hotel is centrally located, within walking distance to the African Market. Hotel also has shuttle services every 30 minutes to the V&A Waterfront, but they charge 15R per person for the service for one way. The breakfast spread is good, but serve the same food everyday, without change. The card door excess system to the room is a nuisance, i have to get it validated 4 times during my one week stay. Everytime when taking shower, the water will flow to the floor from the bathtub, and wet the whole floor and there is no drain. Other than these, it is a pretty good hotel with friendly staff, but need to be more proactive in attending to customer's complaint. Wie überall in Afrika so ist das Internet auch hier ziemlich teuer. Allerdings gibt es Internet-Cafes in den Straßen um die Ecke, die günstig sind. Die Lage des Hotels ist hervorragend für den Tourismus, weil die Route, der Touristen-Busse direkt vorbeiläuft und 200 Meter entfernt eine Haltestelle ist. Für das Nachtleben ist die Long-Street gleich um die Ecke. Zimmer sehr schön, besonders das Badezimmer (ich spreche für das Standard-Zimmer). Foi relativamente boa, tirando o serviço que em alguns casos deixou a desejar. Tivemos dois problemas sobre isso: 1-minha mulher grávida precisou comer de madrugada, restaurante estava trabalhando para atender um grupo que chegaria de madrugada. Com todo aquele excesso de comida não deixaram eu comprar sequer um crossaint. Tive que sair a pé para buscar algo, numa região que é bem perigosa. Outro foi um taxista indicado pelo hotel que me pediu R40,00 e quando me deixou exigiu R130,00. Reportei ao hotel mas nada foi feito. A impressão que dá é que falta autonomia para os funcionários resolverem o problema do hóspede. la experiencia en el hotel fue excelente con personal muy atento y cortes. 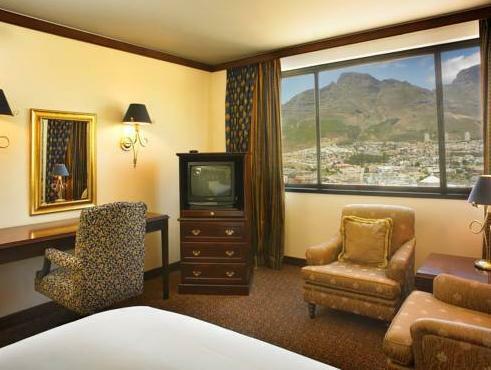 las habitaciones son comodas y el hotel esta ubicado cerca de puntos de interes y con una magnifica vista del table mountain.